MassRoots, Inc. (“MassRoots” or the “Company”) (MSRT), one of the leading technology platforms for the regulated cannabis industry, is pleased to announce that MassRoots has acquired the WeedPass.com domain, where cannabis consumers can now locate dispensaries participating in the WeedPassTM Rewards Program and earn rewards for their purchases. In an effort to raise awareness of WeedPass, the Company has launched an influencer marketing campaign with a dozen of the leading cannabis social media influencers on Instagram, SnapChat, Twitter and MassRoots. With over 100 participating dispensaries in the Los Angeles and Denver markets, MassRoots believes it has sufficient market share to begin aggressively growing consumer participation in WeedPass in these markets. MassRoots’ business model is positioned to capitalize from the trend of states creating and expanding regulated cannabis markets. Because the Company is not involved in the production or sale of cannabis, it does not have to build grow operations, open retail stores, or have a physical presence in the state to generate revenue. 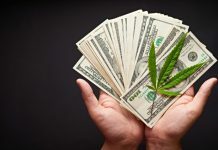 As MassRoots’ financial model is not tied to the success of a particular location or brand, the Company believes it can have a significant percentage of all dispensaries and brands on its platform, making it a play on the entire cannabis industry. For more information, please see MassRoots’ Corporate Overview Deck released on December 5, 2018 and the Company’s filings with the U.S. Securities and Exchange Commission. MassRoots, Inc. is one of the leading technology platforms for the regulated cannabis industry. Powered by more than one million registered users, the Company’s mobile apps empower consumers to make educated cannabis purchasing decisions through community-driven reviews. The Company’s rewards program, WeedPassTM, enables consumers to earn tickets to movies, sporting events, and festivals by shopping at participating dispensaries. MassRoots has been covered by CNN, CNBC, Fox Business, Fortune, Forbes, and Reuters. For more information, please visit www.MassRoots.com/Investors and review MassRoots’ filings with the U.S. Securities and Exchange Commission.